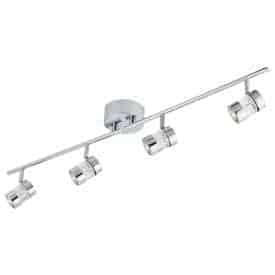 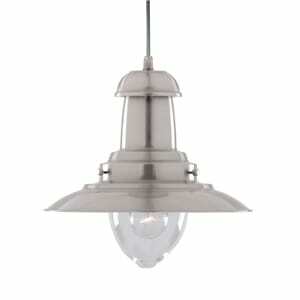 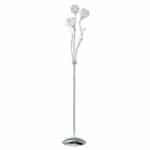 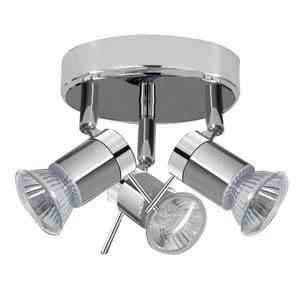 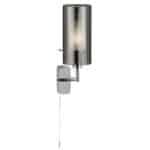 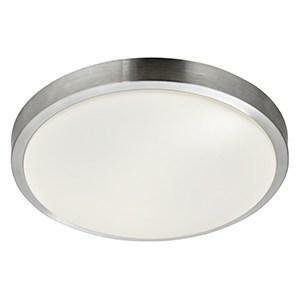 This Bubbles chrome 4W LED wall spotlight looks great on the wall of your bathroom. The modern chrome fitting has an LED light surrounded by a bubble effect shade, which is both quirky and stylish, and the IP44 protection makes it suitable for all bathrooms. 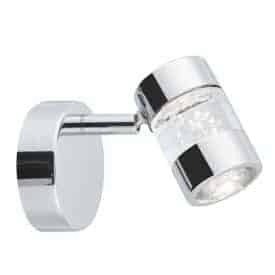 It comes with a handy pull switch and is an instant talking point. 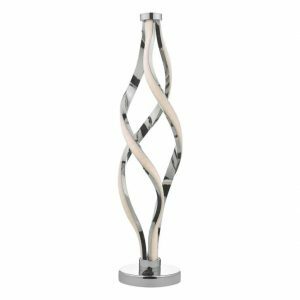 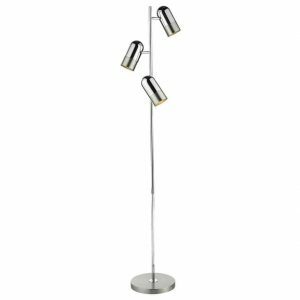 This Stage Light Black Floor Lamp with Stylish Chrome Shade is bold and stylish. 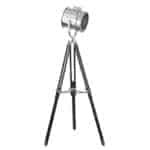 The design is based on the classic stage lamp style, with a large, adjustable cylinder head and grilled spotlight, as well as a stylish tripod stand. 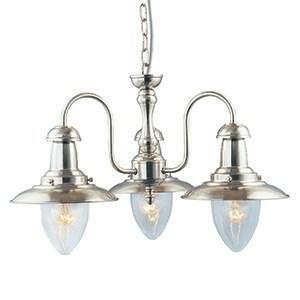 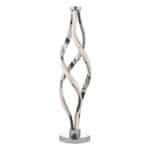 So you can bring a touch of Hollywood glamour to any room in your home. 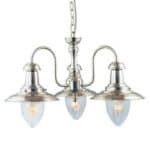 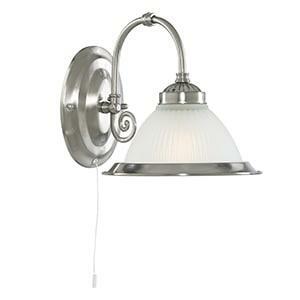 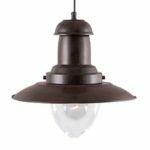 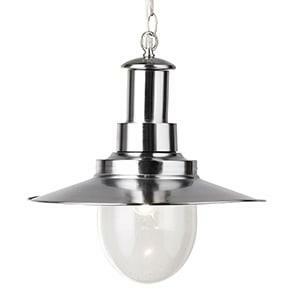 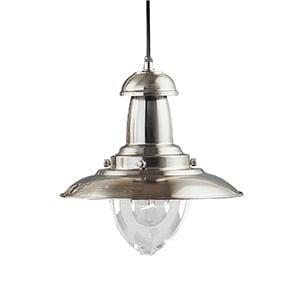 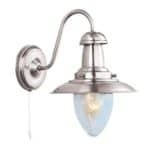 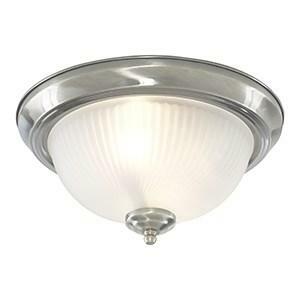 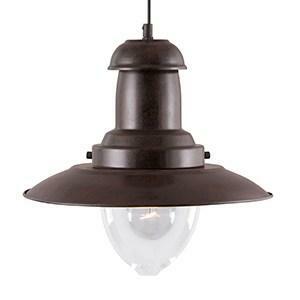 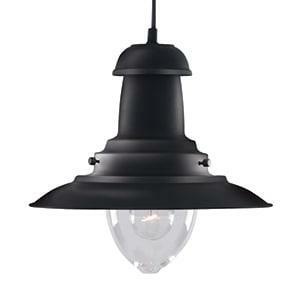 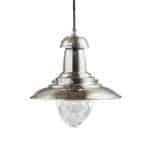 This Fisherman satin silver ceiling light with oval seeded glass shade is a sturdy lantern with a classic, industrial finish. 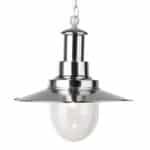 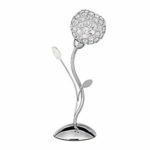 Made with a modern satin silver finish, it has smooth rounded edges with an oval seeded glass shade which provides a stylish water droplet effect that will look at home in any traditional living space.